In the case of the somewhat more publicly visible negotiations between Iran and the P5+1 group of nations, there remains a common thread of optimism in public statements, but this stands in contrast to others indicating that compromise will not be forthcoming from the Iranian side. According to the AFP, Iranian officials still claim to be committed to securing a final agreement before the extended November 24 deadline. But those same officials are unwilling to review their negotiating position, or depending on how one interprets their comments, they may be unwilling to make any concessions whatsoever. “We are entering with goodwill into further negotiations with the P5+1 group and we want to reach an agreement… but we are not willing to pay any price,” said Iranian negotiator Majid Takht Ravanchi. In keeping with this denial of responsibility, Iran’s supreme leader Ayatollah Ali Khamenei has previously declared that neither uranium enrichment capacity nor ballistic missile production will be reduced, and that in fact Iran plans to dramatically expand its stockpile of enrichment centrifuges. 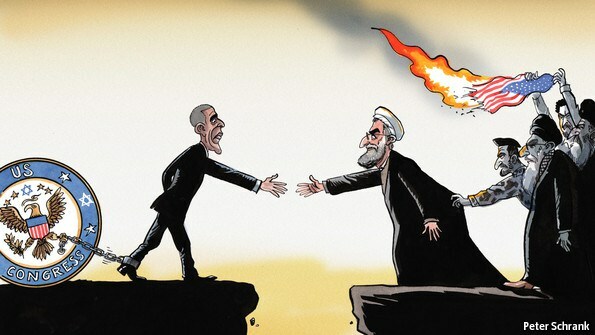 Thus, despite positive public statements, the prospects for a successful deal generally seem rather remote – and this sentiment may even be shared by the pragmatists in the Rouhani administration who have spearheaded a strategy of Western outreach in order to try to secure the end of US-led economic sanctions. World Politics Review posted an article on Monday summing up some recent developments in a supposed conflict between those pragmatists and the hardliners who prefer a strategy of open-conflict with the West. While pointedly avoiding negative remarks about his critics and political adversaries as a whole, Rouhani accused unnamed sub-groups of trying to actively sabotage the negotiations. But since Supreme Leader Khamenei has been at the head of the ultimatums that continue to imperil a deal, and since Khamenei has also issued a number of combative statements about the US during the negotiation period, it is difficult to imagine that there is a sub-group of “saboteurs” who do not have the blessing of the supreme leader.